The Memorial Sweepstakes THIS WEEKEND! ONLY 3 MORE DAYS TILL EVENT WEEKEND! Entry Deadline: EXTENDED! Must be RECEIVED by 10 PM WEDNESDAY, May 25, 2017. 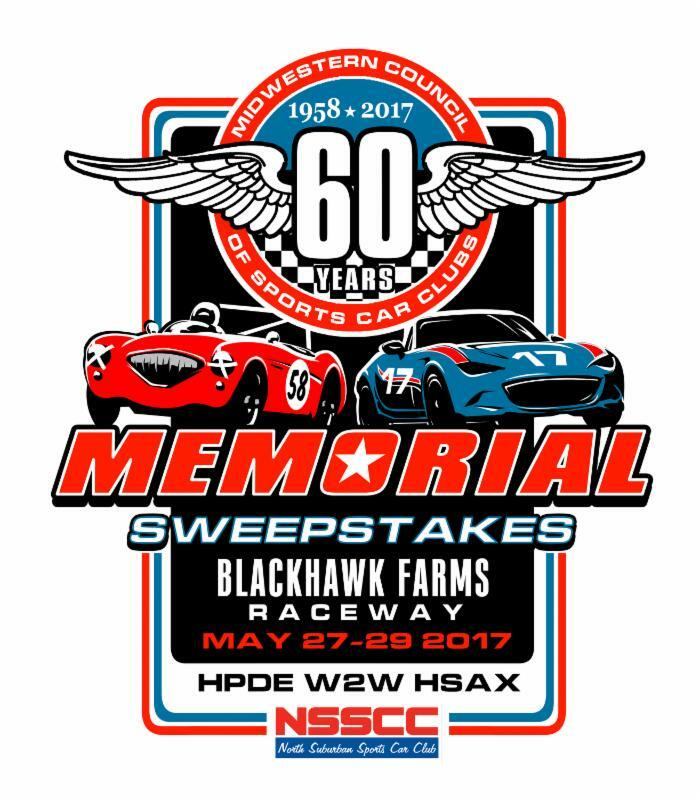 North Suburban Sports Car Club proudly presents "The Memorial Sweepstakes" on Saturday May 27, Sunday May 28, and Monday May 29. A "Special Free" Closed Wheel and Open Wheel practice session will be run on Saturday Night. It follows the HPDE Track Day on Saturday May 27. Please download the full entry form below for full details and schedule. Click the here for web registration!